Welcome to the Rocky Top Lodge Bed and Breakfast. This scenic estate is a favorite for travelers seeking a beautiful, romantic destination. At Rocky Top Lodge You can enjoy an early morning cup of coffee in your private room as the sun comes up, or join other guests in the dining room or outside decks for friendly conversation. 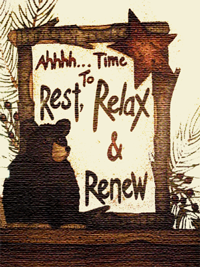 Rest, relax and renew at the Rocky Top Lodge. Berks County is conveniently located in southeastern Pennsylvania. Schuylkill County borders the County on the north, on the west by Lebanon and Lancaster Counties, on the east by Lehigh County, and on the south by Chester and Montgomery Counties. Despite Berks County's closeness to the Philadelphia metropolitan area, it is considered part of Pennsylvania's Dutch Country. Whether you are seeking a peaceful retreat, a romantic getaway, or simply want to experience a natural wonder, you will find what you are looking for at the Rocky Top Lodge Bed and Breakfast located in Berks County, PA. The pavilion and outdoor facilities can be rented for weddings, receptions, parties and other events. The pavilion seats approximately 150 guests but weddings have been held at the Rocky Top Lodge Bed and Breakfast for up to 325 people.